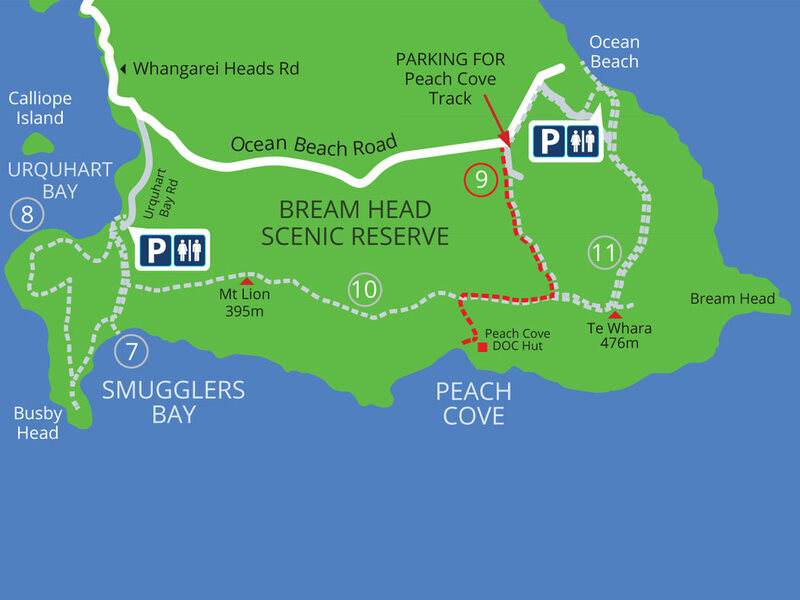 Start from the sign posted car park located 1 km before Ocean Beach. Please park just inside the entrance as this carpark is a private driveway. Follow the track to the ridge and head right. The track becomes a formed gravel path broken up by sets of wooden steps descending steeply to Peach Cove. A Department of Conservation (DOC) serviced hut with 8 bunks can be booked in advance by phoning 09 470 3300. The track only goes one way, up and over, so unless you can arrange pick up by boat, you must return by the same route.